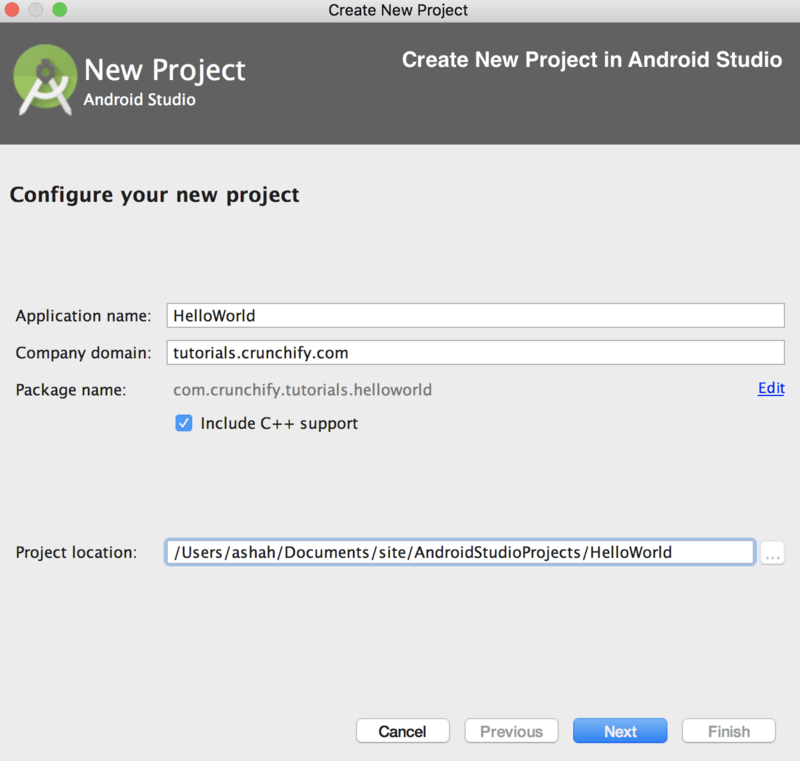 Blog Android Dev Tutorials How to Build Your First Hello World Android App with Android Studio? Android is most used Mobile OS worldwide. 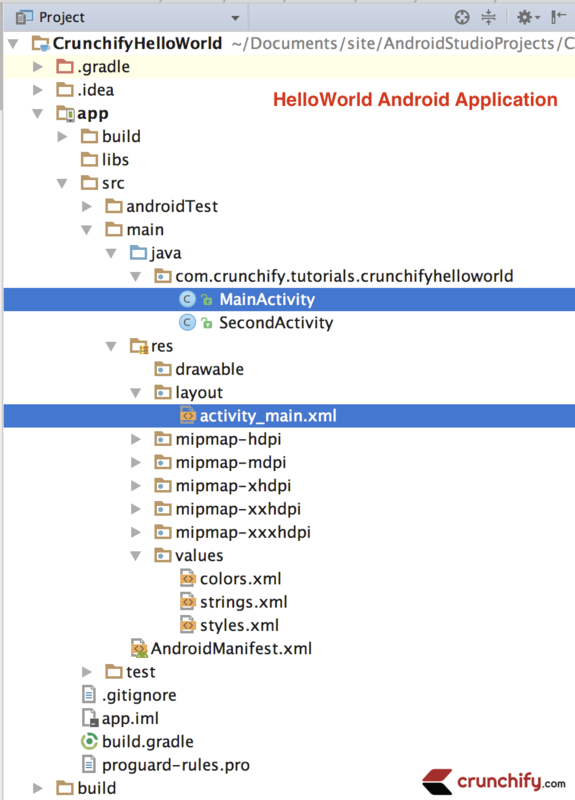 making an android app is not as difficult as one think of. You just need to have minor knowledge about android structure and little java programming. How do you make an Android app? How to create an android app with few lines of coding? 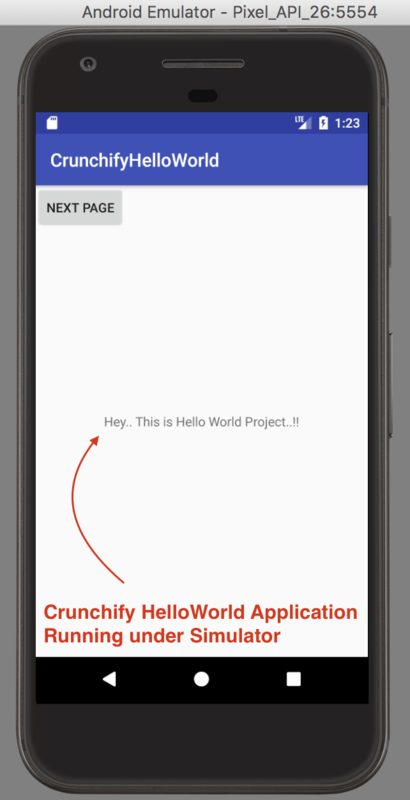 Well, below steps will help you get started building your 1st Android Application. Before we get started – here is a final result of our application. 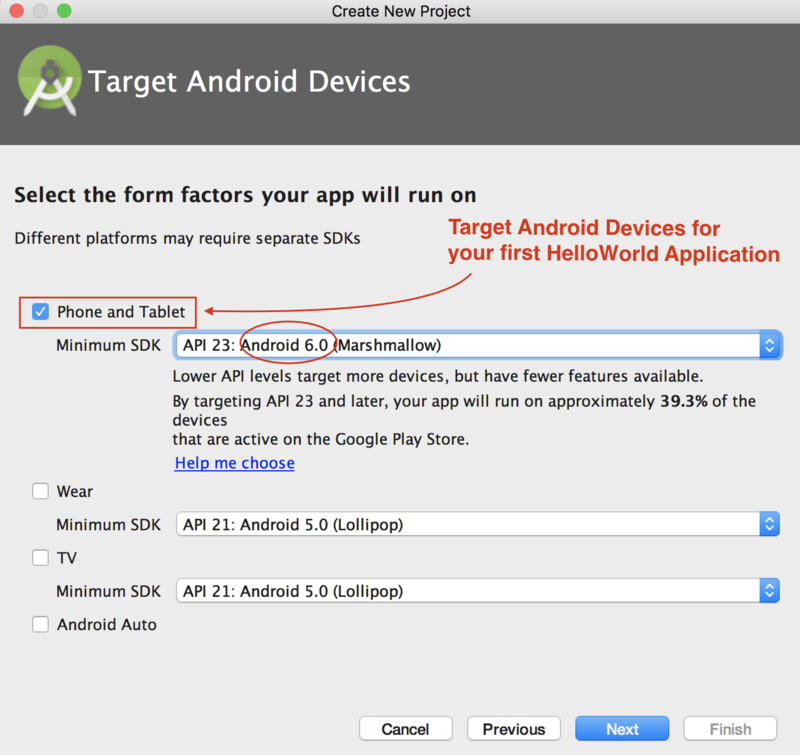 This tutorial will help you to create your first android app with the help of android studio. Demand is very increased of android apps as it is never be ignored at all. 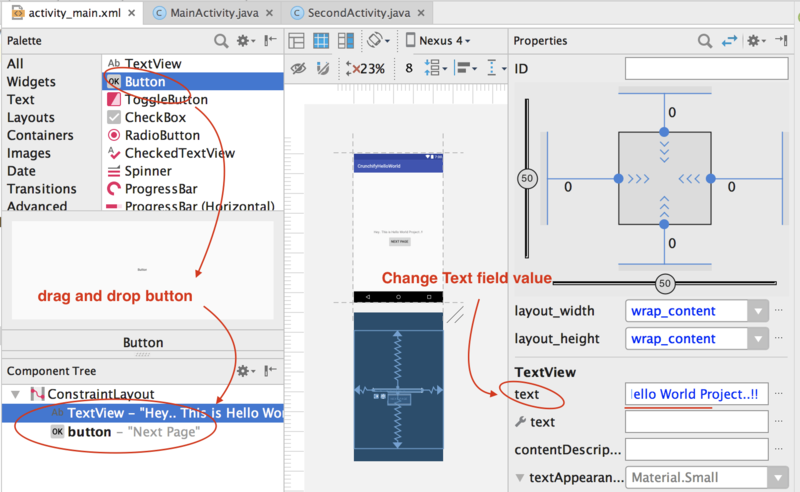 Android studio is an easy to use software which will help to develop better apps with easy interactive apps. This tutorial will take roughly 30-60 minutes, depending on how quickly you are able to download and install Android Studio. 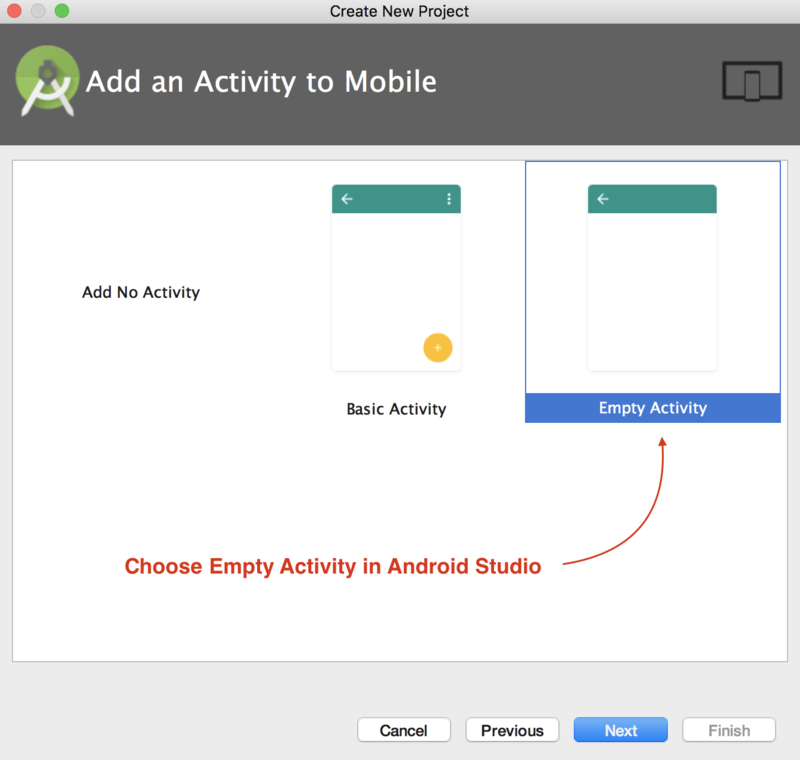 After using this tutorial to create your first Android app, you’ll be well on your way to a fun new hobby or possibly even a promising career in mobile development. 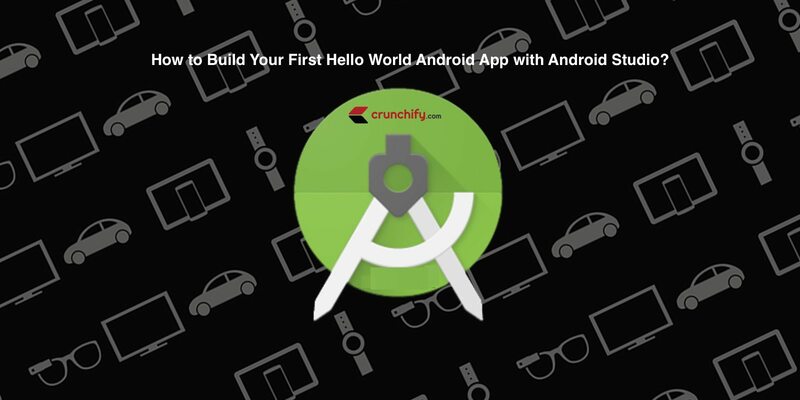 First of all you have to download android studio to make android application. To download it Go to http://developer.android.com/sdk/index.html to download Android Studio. Use the default installer to install Android Studio following its instructions. You can easily download and it’s available to all the users freely without any further hectic steps. It will Open Wizard called Quick Start Under the Quick Start menu, click on Start a new Android Studio project. On the Create New Project window that will open project information wizard and by default it will give your application name to CrunchifyHelloWorld. then choose where you want to store your project. So choose your project location. Make sure on that Phone and Tablet is the only box that is checked. If you want to test the app on your own phone, make sure the minimum SDK should be below your mobile’s OS level. Select Blank Activity from list of all activities. Leave all of the Activity name fields as it is. Double click on activity_main.xml file. Click and drag Button to be centered underneath your welcome message. In the Properties menu (on the right side of the window), scroll down to find the field for text. Change the text from New Button to Next Page. Just replace it with above code. Create file SecondActivity.java file under the same file location as MainActivity.java. * Created by Crunchify on 7/5/17. 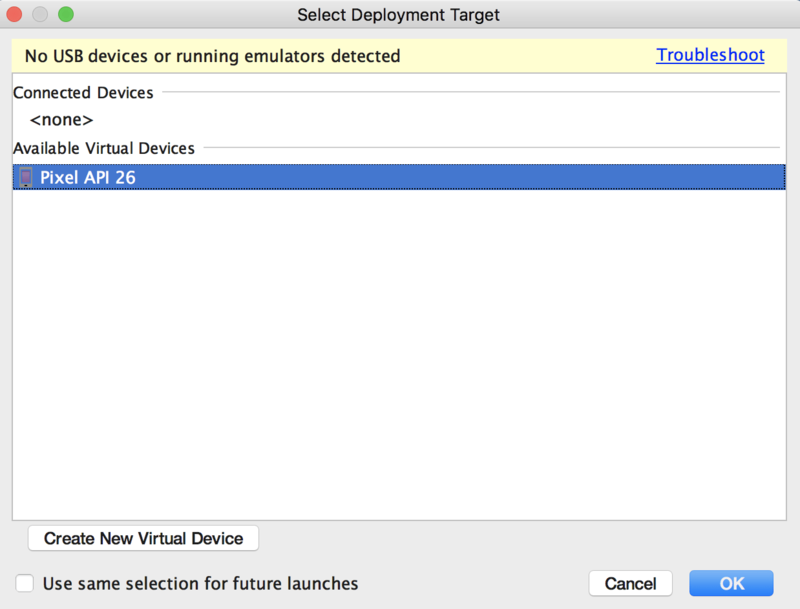 Just click on Run button and you will see device selection popup. Select Pixel API 26 and click OK.
You should see now your application running under Android Simulation phone. And you are done! Congratulations. Mobile App is the procedure the common ways involve the coding structure, technology is used, testing etc. you can also use the android app for your mobile. We have bunch of Java, Spring MVC, Spring Boot tutorials on site and it’s very important to follow coding standards, structures and different latest technologies while developing appplication. Android Studio is a platform through which you can make their own application and this website is for those users who want to learn about the application and want to make their own Android application. That’s right John. Android is one of the great platform to build applications. Userbase is very vast and you could reach millions of folks around the globe. this was a very nice and helpful article. You are welcome anudeep kumar.